Fresh tracks from Roy Wood$, Ramriddlz and more. This evening's episode of OVO Sound Radio, hosted by Oliver El-Khattib, was a low-key affair. There were no big surprises waiting, despite Oliver informing us that news regarding Views is coming "very soon" and to expect new PARTYNEXTDOOR on its way. 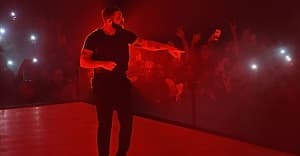 Instead, he took the chance during the two hour set to premiere tracks from young OVO signees and affliatites such as Roy Wood$, Ramriddlz, Top 5, Jimmy Prime and BBK MC Shailan. Other highlights played included a Tyler, the Creator redux of a Kanye freestyle, several songs from Kendrick Lamar and ScHoolboy Q in a mini-TDE suite before later closing out with a two-song Bankroll Fresh set in tribute to the fallen Atlanta rapper. Listen to OVO Sound Radio Episode 17 here. Check out a tracklist courtesy of The6Track.